"Civic conversation in America is dysfunctional in part because we have so many such outrage exhibitionists. These folks strip inartfully phrased remarks of context, ignoring the speaker’s intentions and imputing the least charitable possible meaning..."
Conor Friedersdorf on the "outrage exhibitionists": theatlantic.com/ideas/archive/… "Anyone with third-grade reading comprehension can review Omar's clumsy words and see that they do not, in fact, assert that 9/11 wasn't a terrorist attack." Good piece. Robert Hughes captured this phenomenon better than anyone else in Culture of Complaint. The right, he showed, was just as susceptible as the left to overreaction. Really imp points here about outrage mobs, particularly when led by the president. Trump's "demagogic tweet" about @IlhanMN's "imperfect, extemporaneous" 9/11 comments make the president "callout culture’s most prominent cry-bully," according to @conor64. This is an interesting @conor64 piece. I'm not sure about the "bad faith" argument, if it depends on the inconsistencies of the speaker or if holding others to their own standards is itself legitimate. 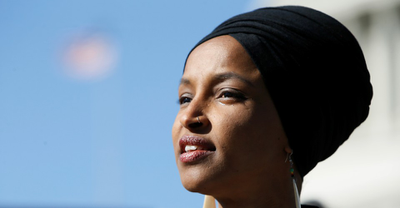 "Ilhan Omar Falls Victim to the Outrage Exhibitionists"